In this article I describe each of these factors and steps to change them. I lay out a step-by-step approach for life style changes and supplements that boost or support the immune system. One of the best ways to optimize the immune system is through regular immune boosting practices. These include light to moderate exercise, meditation, quality sleep, and a healthy diet. For information about sleep see: Sleep 101: The Basics. For information about diet see The Best Brain, Inflammation, Pain, and Detox Diet Ever. Although exercise is generally good, if done in excess it too can suppress the immune system. So exercise to tolerance only. Experiment to see what amount and intensity of exercise does not leave you more tired or in pain the next day. For some in the beginning of treatment any amount of exercise is too much. Support for the immune system starts by providing the building blocks it needs which are free of environmental toxins. A diet rich in whole (non-processed) organic foods provides essential micronutrients for immune function and optimal liver and kidney detoxification. However, a healthy diet alone does not provide adequate levels of essential micronutrients for those with chronic Lyme disease. Compared to the past, the earth is less micronutrient dense. For this reason a well balanced multivitamin with minerals plus amino acids is essential. Of all the toxins, emotional stress is the most poisonous. The emotional stress of this illness is difficult. In addition many have histories of sexual or emotional abuse and trauma that is unresolved. In some instances I have seen effective counseling as the factor that leads to major health improvement. If these are your issues get the help of a counselor. It could be the thing that most changes your health. Cytokines are made when immune cells are stimulated by germs, oxidizing agents, cytokines, toxins, and other agents. These inflammatory agents stimulate white blood cell production and improve white blood cell function to fight infections. However, in Lyme disease too may are made. Excess cytokines cause many problems. This includes suppression of the immune system. Read Control Cytokines: A Guide to Fix Lyme Symptoms & The Immune System much more information about cytokines. Low thyroid and adrenals are common in chronic Lyme disease. Both of these hormones help the immune system run effectively. Read Heat Up, Speed Up: About Thyroid & Adrenals and Hypothyroidism. The Best Tests, Meds, & Vitamins for more information about this topic. 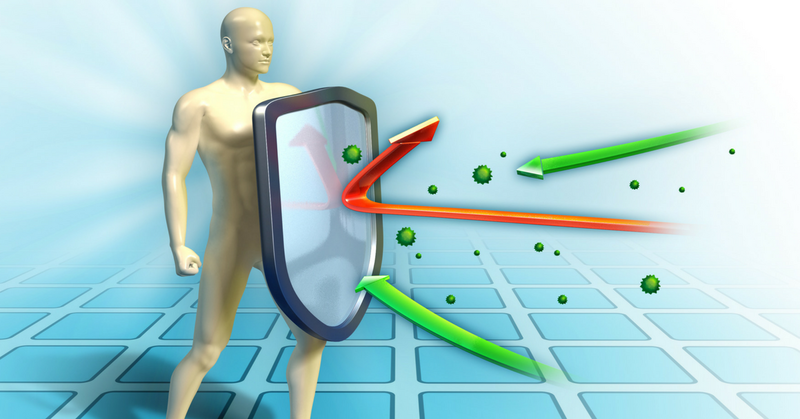 Many things in the environment suppress the immune system. These include pesticides, insecticides, heavy metals, and poor quality air and water. Emotional and biologic toxins also suppress the immune system. See Detoxification 101: The Basics for more information on how to deal with toxins. Other infections like the chronic viruses will often get better as the immune system is able to deal with them more effectively after these infections are treated and the other basic recommendations below are put in place. Here is a list of supplements that may help. Curcumin, a component of turmeric, is an antioxidant that works at the cellular level through a variety of mechanisms to block cytokine production. Thymic protein A boosts cell-mediated immunity. This is a refined thymus gland protein that turns on T-4 white blood cells and increases the immune system's ability to fight acute and chronic infection. Astragalus complex or olive leaf extract stimulate and modulate the immune system for those with chronic infections and long term immune dysfunction. Both are anti-oxidants. Olive leaf extract also has direct anti-microbial properties. Transfer Factors turn on components of cell mediated-immunity. Read Transfer Factors: Turn on The Army for more information including which transfer factor product to use depending on the infections you have. General transfer factors turn on a group of cell-mediated immunity cells called natural killer cells. When turned on these cells help fight a variety of bacterial and virus infections. Targeted transfer factors for chronic Lyme and associated diseases turn on the cell-mediated immune response for specific infections that can occur in chronic Lyme and associated diseases. These infections are borrelia (the Lyme disease germ), bartonella, and babesia. In addition targeted transfer factors effect the cell-mediated immune response against HHV-6, EBV, and CMV virus infections. These are viruses found in most healthy people that are kept under control by the cell-mediated part of the immune system. In individuals with chronic Lyme disease these viruses can become more active. Medicinal Mushrooms also turn on cell mediated-immunity against viruses and bacteria. A multi-variety mushroom mix works which works effectively against bacteria and viral infections. A multi-variety mix should include: maitake, reishi gano, shitake, agaricus blazei, and coriolus vericolor mushroom extracts. Reishi gano mushrooms used alone are best for repeat chronic or repeat viral infections. Multivitamin with minerals, antioxidants, b-complex, and amino acids replaces essential nutrients lacking in most diets. Take the multivitamin and curcumin. Multivitamin. I prefer powderproducts made by Integrative Therapeutics or by Thorne that include minerals, b complex, antioxidants, and amino-acids. Curcumin 500 mg. 1 to 2 pills 3 times a day. Use a liposomal curcumin for best absorption. Start either general transfer factors or the multi-variety mushroom mix. Consider doing this especially if there is a history of repeat colds and other viral infections prior to beginning treatment. Multi-variety Mushroom Mix. 1 to 2 pills 3 times a day. Be sure the mix includes maitake, reishi gano, shitake, agaricus blazei, and coriolus vericolor mushroom extracts. Reishi Mushrooms. 1 to 3 pills 3 times a day. Thymic Protien A. 1 package under tongue away from food 3 times each day for 2 days at the onset of any acute viral infection then 1 packet daily. Targeted Transfer Factors. 1 pill daily for 7 days, then 1 pill 2 times a day without food (do not take beginning 30 min before eating through 2 hours after eating). The targeted transfer factor mix should include transfer factors for various viruses. One product that does this is Transfer Factor Plasmyc by Researched Nutritionals. When treatment for borrelia, bartonella or babesia is going poorly after 6 months of treatment add targeted transfer factors. If babesia, bartonella, or borrelia relapse, then add targeted transfer factors and remain on them once the anti-microbials are stopped. Targeted Transfer Factors. 1 pill daily for 7 days, then 1 pill 2 times a day without food (do not take beginning 30 min before eating through 2 hours after eating). The targeted transfer factor mix should include transfer factors for borrelia, bartonella, babesia, cmv, hhv-6 and ebv. One product that does this is Transfer Factor L Plus by Researched Nutritionals. For repeated viral infections like colds and the flu, then add Thymic Protein A and Astragulus Complex. If this does not help then add olive leaf extract. Thymic Protein A. 1 package under tongue away from food 3 times each day for 2 days at the onset of any acute viral infection then 1 packet daily. Astragalus complex. 2 pills in morning and 2 pills in the afternoon. Olive leaf extract 500mg. 1 pill 2 times each day with food. Anthocyannins. 1 tsp 3-6 times each day in 8 oz water.